Were Witches Really Burned in the Middle Ages? So-called “Middle Ages”, European historical period from 5th to 15th century, have quite a disrepute in the modern times. We don’t consider it one of the periods which majority of us, civilized and enlightened people of modern age, would sincerely like to visit. However, we often overlook one important fact; that one of the darkest episodes in human history, the witch-hunt hysteria of centuries long-gone, has actually nothing to do with the Middle Ages. In fact, first major witch hunts appeared at the very end of the medieval period, in the Renaissance era, and continued until the end of the Enlightenment age. During the times of Galileo, Luther or Gutenberg, probability of being burned at the stake as a witch or wizard was the highest in history. Although executions by burning were fairly common in the Middle Ages, they were reserved only to heretics and other people who disobeyed the Catholic church. Witch trials, as we see them in the movies, with their absurd accusations of weather manipulation, satanic worship and child sacrifices, never happened before year 1400. In the year 1419, the word “hexereye(witchcraft)” was first used in Valais during a trial, and in year 1431, Joanne of Arc was executed, after being accused of witchcraft. 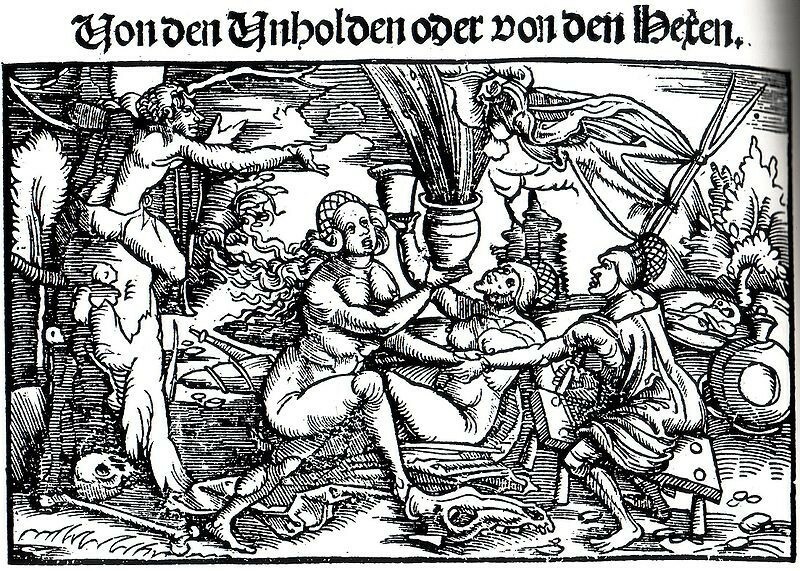 However, true witchhunt hysteria didn’t begin until year 1487, when the book ”Malleus Maleficarum”, written by Heinrich Kramer, was published for the first time. This book, and many similar works, were written to quasi-scientifically prove that witches do exist.In scientific and judiciary terms, they explained the imminent dangers of the witchcraft to the society, and the ways it should be coped with. In subsequent decades, witch-hunting was being gradually more and more endorsed by the state and church. However, the true witch-hysteria didn’t begin until the years 1560-1630. At the time, most of the scientists, university professors, theologists and philosophers started to consider the existence of witches being factual, although the idea had been dismisssed by the church long centuries before. Even famous doctor Paracelsus and many reformators, including Martin Luther, explicitly endorsed the persecution of witches. Oftentimes, the most educated people of the society stridently demanded no mercy for the witches, because their crimes were allegedly feats of the devil. Probably the most zealous man among all of these people was French reformator John Calvin. Before his arrival to the Geneve, local witch-trials always resulted in relatively mild punishments, such as financial penalties or expulsion from the city. In the years 1495 – 1531, less than one dozen of witches were executed burned at the stake in Geneve. However, after John Calvin had arrived, more than 500 people convicted of witchcraft were executed during a period of only two years. In contrast with other city councillors, he strictly insisted on burning all people even accused of witchcraft. Exact cause of this explosion of collective hysteria remains unknown to the present day. But one thing is for sure; this dark time in human history has nothing to do with the Middle Ages.